She was born Hedwig Eva Maria Kiesler on November 9, 1914 in Vienna, Austria. At 17 years old, Hedy starred in her first film, a German project called Geld auf der Strase. Hedy continued her film career by working on both German and Czechoslavakian productions. The 1932 German film Exstase brought her to the attention of Hollywood producers, and she soon signed a contract with MGM. Once in Hollywood, she officially changed her name to Hedy Lamarr and starred in her first Hollywood film, Algiers (1938), opposite Charles Boyer. She continued to land parts opposite the most popular and talented actors of the day, including Spencer Tracy, Clark Gable, and Jimmy Stewart. Some of her films include an adaptation of John Steinbeck’s Tortilla Flat (1942), White Cargo (1942), Cecil B. DeMille’s Samson and Delilah (1949), and The Female Animal (1957). As if being a beautiful, talented actress was not enough, Hedy was also extremely intelligent. 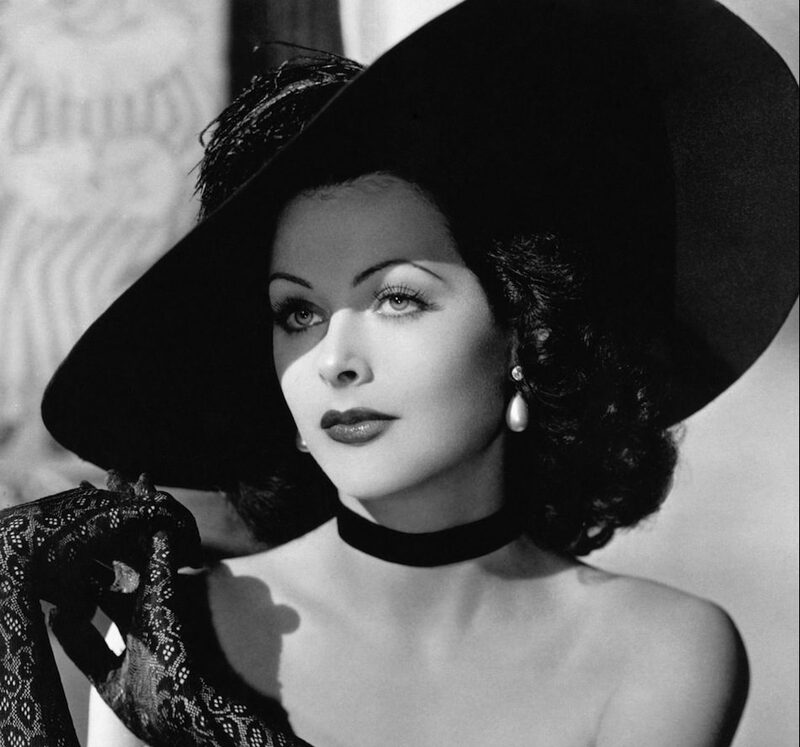 In addition to her film accomplishments, Hedy patented an idea that later became the crutch of both secure military communications and mobile phone technology. In 1942, Hedy and composer George Antheil patented what they called the “Secret Communication System.” The original idea, meant to solve the problem of enemies blocking signals from radio-controlled missiles during World War II, involved changing radio frequencies simultaneously to prevent enemies from being able to detect the messages. While the technology of the time prevented the feasibility of the idea at first, the advent of the transistor and its later downsizing made Hedy’s idea very important to both the military and the cell phone industry. This impressive technological achievement combined with her acting talent and star quality to make “the most beautiful woman in film” one of the most interesting and intelligent women in the movie industry.